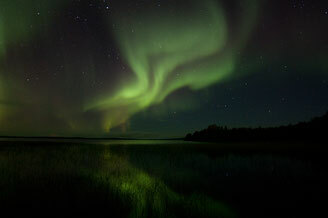 Midsummer night when the sun stays for 24 hours above the horizon, is one of the main attractions in summer Lapland. After a long winter everything in nature wakes up and grows fast because of the sudden increase in light and warmth. In autumn the nature is glowing with countless shades of red and orange colour. 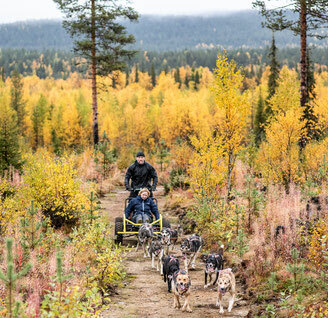 This colourful play is called "ruska" in Finnish and this season is the second highlight of the snowless time. 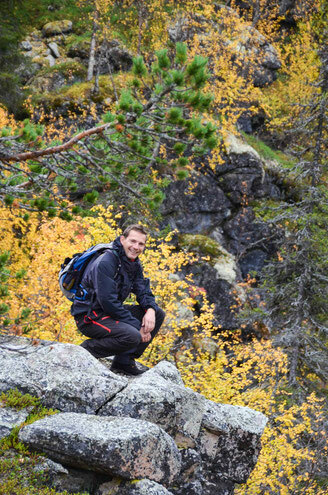 During our programme we hike and enjoy the landscapes of Pallas-Ylläs National Park, a region with the cleanest air in Europe. At our kennel you meet our 50 friendly alaskan huskies and you are introduced to the life of the sledge dogs. 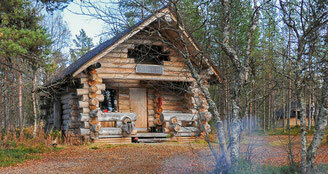 Accomodation on the tours is at our comfortable log cabins at Madejärvi with a sauna right by the lake. The spacious and atmospheric log cabin where the beds are in two floors with an stone oven in the middle. 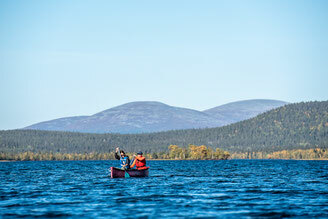 One day is spend canoeing on the Lake Jerisjärvi. On another day we go rafting on the Muonio river. After the summer with its amazing 24 hours of daylight the arrival of autumn brings another lightshow to the sky as it is quite common to see the fabulous northern lights dancing on the night sky.